Each group on the NCDB site has a forum, where members can post comments, questions, news, or ideas and other members can respond. 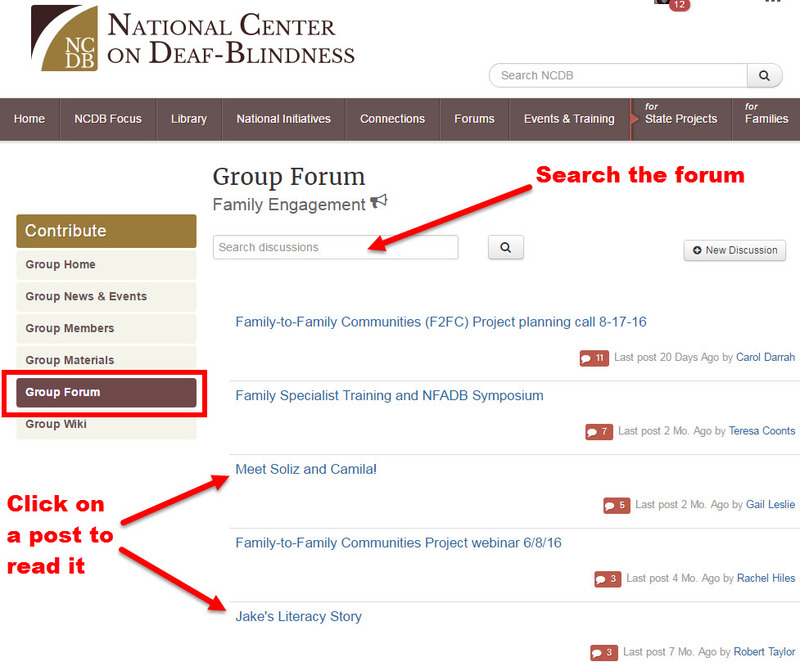 To find a group’s forum, go to the group and then click Group Forum in the menu on the left side of the page. You can click on a post to read it or search all the posts using the box at the top of the page.